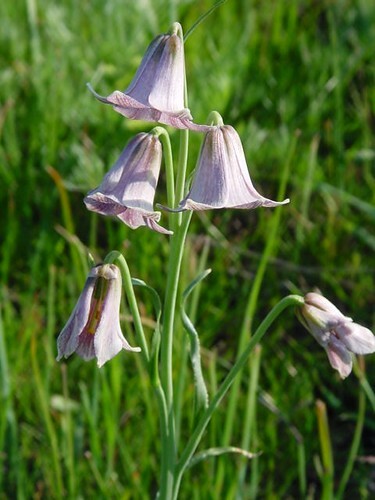 This 110-acre grassy hill scattered with rock outcrops protects two rare and beautiful wildflower species, the striped adobe lily (Fritillaria striata) and San Joaquin adobe sunburst (Pseudobahia peirsonii). 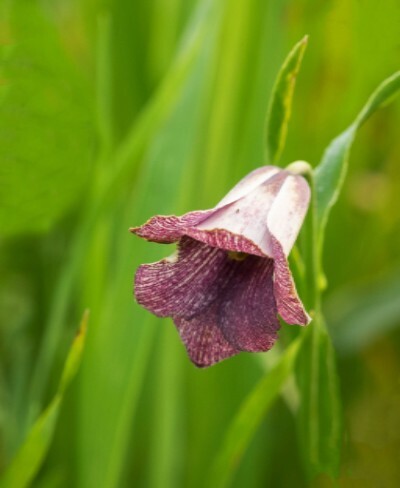 The open grasslands and blue oak woodlands of the southern Sierra Nevada foothills provide critical habitat for these exceptional flowers at Lewis Hill Preserve. In 1994, the Hawkins family donated this property north of Porterville to the Kern River Research Center. Six years later, title transferred to the Tule Oaks Land Trust, a predecessor organization that merged with other trusts to form SRT in 2001. Note that the Preserve is not open to the public except for SRT-led events. The Preserve is located on the ridge of Lewis Hill, and lies mostly on the north slope of Lewis Hill. Please do not visit the Preserve without express permission from SRT. This nature preserve is not open to the public except for special tours and events one or two days a year for SRT members only. Check our online calendar or sign up for our Currents newsletter to learn more. Watch for the annual spring wildflower walk, a unique guided tour of rare, regional flowers. Only 20 occurrences in Tulare and Kern Counties, with only six documented in the last 20 years. Roots grow down when the soil is wet, and when soil dries it pulls the bulb down, which keeps it protected. Usually 2-3 flowers, in some years get 7-8 flowers. Threatened by agriculture, urbanization, and non-native plants. Possibly threatened by vehicles and road maintenance. A daisy that comes up in early April. Found only in Tulare, Kern and Fresno counties. Only 39 sites known; more than half of known occurrences are very small. Seriously threatened by agriculture, grazing, development, non-native plants, road construction and maintenance, and flood control activities.